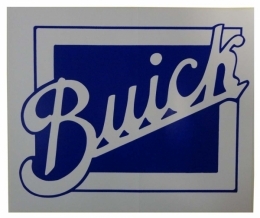 Buick decal - 10" square. Top quality, licensed GM product. MADE IN THE USA.